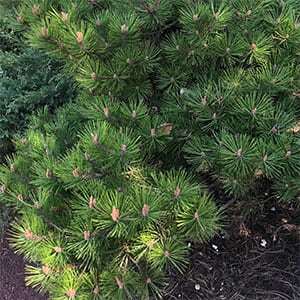 With a number of forms available, Pinus densiflora is a very useful landscaping tree that will grow well in full sun to a little shade. This is a tree that is not only valued for landscaping but also for the red timber. Pinus densiflora ‘Pendula’ is a weeping form, excellent in a rock garden or near a pond or waterfall. P. densiflora ‘Oculus-draconis’ is tall growing to around 20 metres. P. densiflora ‘Low Grow’ is a low growing variety that forms a mound. P. densiflora ‘Osmaston Compact’ is similar to ‘Low Glow’ however with a faster growth rate. One planted and watered in, most pines will only require a little additional water through the first summer. A little much around the plant for the first few years can aid with growth. Generally not required although some varieties are trained to special forms. 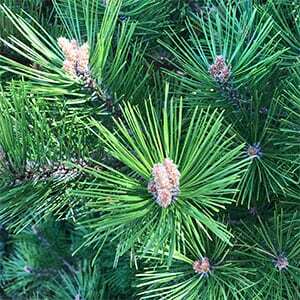 Common Name – Japanese red pine or Korean red pine. Height – From low growing to around 20 metres depending on variety.